The 11th session of the North Atlantic Treaty Organization (NATO) Commission for Integration Process of Bosnia and Herzegovina (BiH) was held yesterday under the chairmanship of the BiH Integration Process Chairman and Deputy Minister of Foreign Affairs of BiH, Josip Brkic. Brkic introduced members of the Commission with the activities related to the NATO integration process in BiH over the past period, and provided a review of the situation and the following obligations. He stressed that NATO member countries are intensively monitoring the process of meeting the criteria from Tallinn, as the main condition for activating the Membership Action Plan (MAP). BiH is encouraged to continue with this process. Clear support was required from NATO member states to activate MAP. Regular bilateral consultations were held with some countries, as well as in the headquarter of the NATO Alliance in Brussels. The Commission considers that more work is needed to promote NATO integration through public diplomacy, in order to achieve greater visibility of the process. The Commission for the NATO Integration Process of BiH, during the fulfillment of BiH obligations under the NATO “Partnership for Peace” program, in early 2017, made a Proposal for the Individual Partnership Action Plan (IPAP) for the period 2017-2019, which defines the goals and activities that BiH is planning to implement in that period. During the second half of 2017, required procedures were done to align the document with the NATO Headquarter in Brussels, which adopted the document on December 11th 2017. 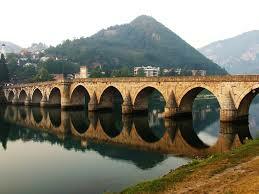 Now it is on the Council of Ministers of BiH to adopt the document during the legal procedure. The Commission also considered and adopted the Proposal of Work Report for the second half of 2017. At the meeting it was also discussed about the personnel issues within the Commission, as it was announced from the Public Relations Office of the Ministry of Foreign Affairs (MFA) BiH.